2011 Michigan Filmmaker of the Year, Amy S. Weber has announced her search for real teens in an open casting call for her next feature film, The Bully Chronicles. Casting is open to non-union males and females, ages 14-21. No acting experience necessary. All ethnicities are encouraged to audition. Date: Saturday May 19th and Sunday May 20th by appointment only. To schedule an appointment, please visit www.thebullychronicles.com to view all roles and casting information. Location: Radish Creative Group at 326 East Fourth Street, Royal Oak. “We are so excited about this project and the fact that we are casting real teens in this critical story about bullying. Who better to teach us about this epidemic than the ones who are living it everyday? This could very well be the most important project of my life and I am so proud that once again we will be releasing a 100% Michigan-made product,”says Director Amy S. Weber. Weber’s first feature film, Annabelle & Bear, was produced in 2010 entirely in Michigan. The film’s success landed Weber the Filmmaker of the Year last year at the Michigan Film Awards. With the assistance of a team of teen producers—including 17-year-old Katy Butler, the Michigan teen who launched an online petition that lead the MPAA to change the rating of the documentary Bully from R to PG-13—The Bully Chronicles is a revolutionary approach to narrative film, combining unscripted documentary-style filmmaking with a groundbreaking take on the ‘found footage’ style. Inspired by real cases of bullying that happen each and every day across the country, this film is truly the first of its kind. Weber is humbled by the overwhelmingly positive response from teens about her approach to telling this story. The Bully Chronicles begins as a documentary investigation into the story of 16year-old Jessica Burns who lies in a coma after a nearly successful suicide attempt. As filmmakers examine Jessica’s life, confessional tapes recorded in secret by Jessica and her best friend Brian surface. Jessica’s bully, Avery Keller, initially denies tormenting her, but once given the opportunity to film her own thoughts and experiences, we see the other side of the story for the first time: The bully’s side. At times gritty and shocking, at others heartbreaking and poignant, The Bully Chronicles mirrors what’s happening today in a realistic and eye-popping way. Bullying is a hot topic right now. Some might say that it is over-saturated. But we feel that until the focus shifts from victim to bully, the stories will continue to manifest. This film will do what no other has done: give bullying a face and an icon that will change the game forever. Weber and her team are raising funds to make this film possible through Indiegogo, the online funding platform for creative projects. Shooting is set to begin in the Metro Detroit area this summer. 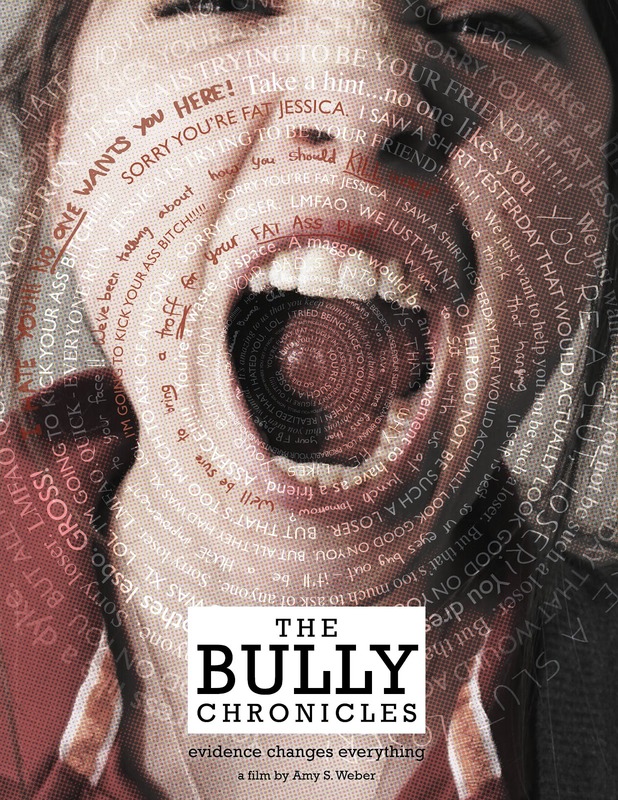 Learn how to help bring this film to life at http://www.indiegogo.com/thebullychronicles and http://www.thebullychronicles.com.